Determine the first month of your fiscal year. Decide whether you will measure the intrinsic value of the restricted stock as the Issue Price, such that the awards' value is equal to Fair Market Value of Common on the grant date - Issue Price) or if you would like it to default to $0, such that the awards' value is equal to Fair Market Value of Common on the grant date - $0). 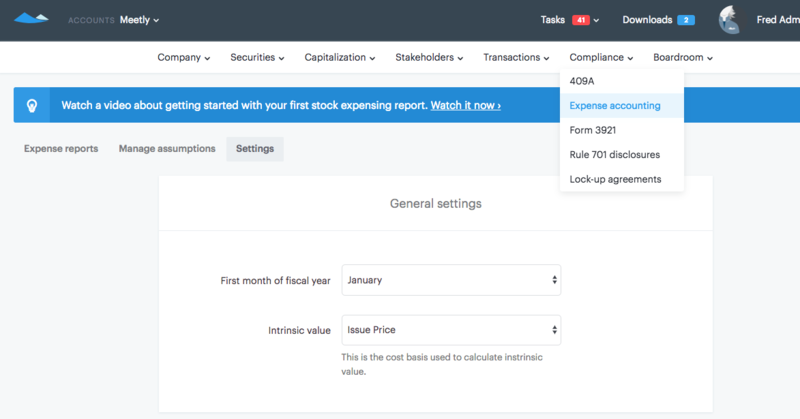 Carta's Expensing Tool uses the Intrinsic Valuation Method to value all restricted stock awards, as the fair value cannot be reasonably estimated using the Black-Scholes Model due to the complexity of these awards' terms, particularly in regards to the expected term. Carta believes this to be consist with ASC 718-10-30-22. 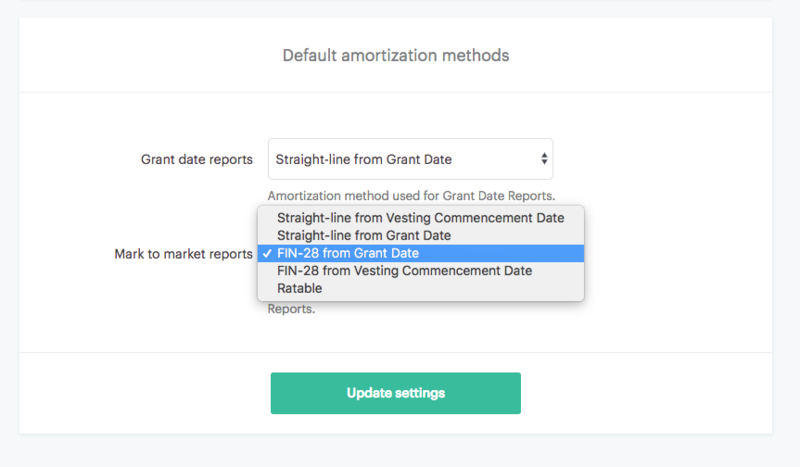 Determine your amortization method for the grant date (employee awards) and mark to market (non-employee awards) reports. Carta supports various amortization methods such as the Straight-Line, FIN28 (also known as the accelerated or front-loaded method), and Ratable method. Additionally, the expense reports use the graded-vesting method which breaks out each award’s vesting tranches to allocate the expense amounts. Determine your domestic and international reporting types. 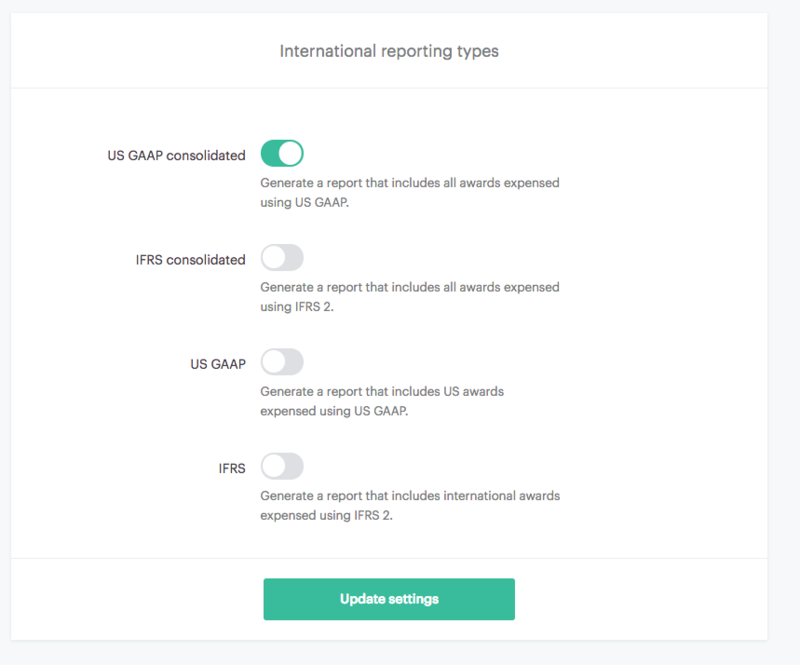 Carta can provide US GAAP consolidated reports (ASC718 guidance applied to all awards), IFRS consolidated reports (IFRS 2 guidance applied to all awards), US GAAP reports (US awards only reported under ASC718), and IFRS reports (International awards only reported under IFRS 2). Consult with your auditors if you are unsure of what amortization method or reporting types would be best for you.